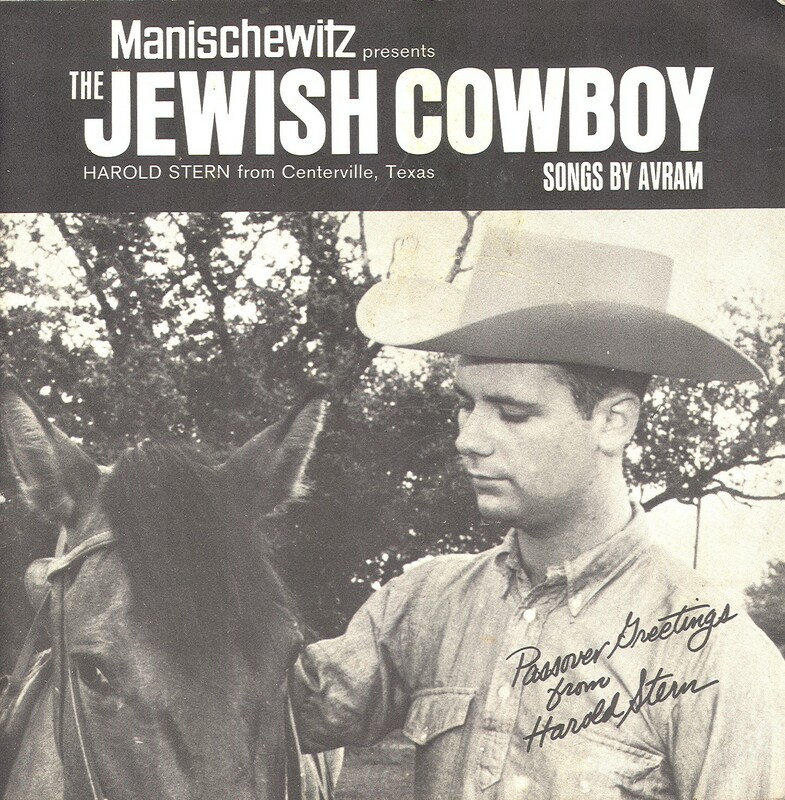 From the nice folks at Manischewitz wines and foods – “The Jewish Cowboy” (Harold Stern from Centerville, Texas) OY! With a Mogen David on his silver vest. Which was kinda weird, ’cause he was yellow too. The hundred and forty-second fastest gun in the West. With a 10-gallon yarmulke on his head. Even on the range he used two sets of dishes. Lattkes with apple sauce for Mr. Ed and sourcreme for the Passover roughrider?